Chinese Dragons are symbols of wealth, wisdom, power and nobility. It was the symbol of the Emperor in ancient China. 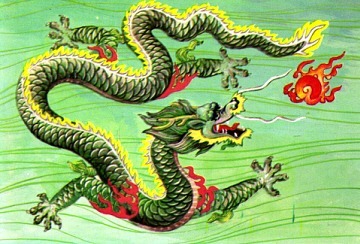 Dragons in Chinese culture, unlike the Western dragons, are not depicted as enemies to be defeated. They are wise and welcoming and a sign that good things will happen. in architecture at temples, palaces, walls... you will often encounter dragons while traveling through China. as decorations and artwork. You will find it in handicrafts, jewelry, porcelain, paintings, embroideries, to name a few! in poetry, legends and folklore, or in the Chinese Zodiac... 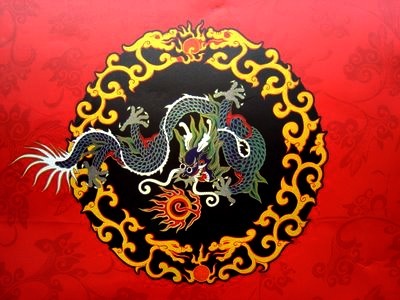 It is considered a great honor to be born in the Year of the Dragon. 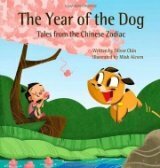 Learn more about the Chinese Zodiac here. Often we find dragons together with the Chinese Phoenix. The Phoenix is also a creature from Chinese mythology and symbolizes good luck, peace, kindness and glory. 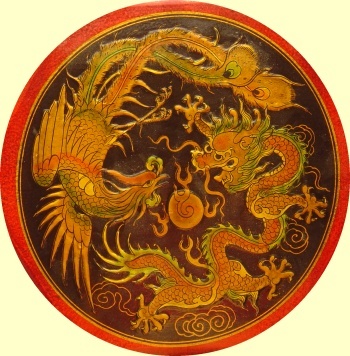 The Chinese considered the Dragon the male element, and the Phoenix, the female element. Together, they both symbolize the union of yin and yang, and a happy marriage. What does the Year of the Dragon bring?